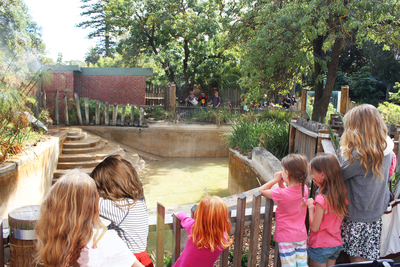 Adelaide Zoo is the second oldest zoo in Australia; it's been entertaining families since 1883. 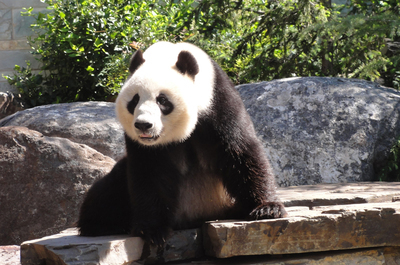 The zoo's most famous residents are probably pandas Wang Wang and Funi, but the zoo is home to lions, tigers, orangutans, giraffes and more. 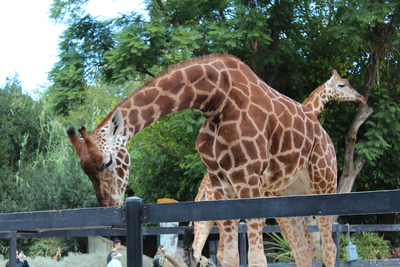 Throughout the day there are keeper talks at many of the animal enclosures. You can get information on what's happening that day when you arrive. Make sure you also pick up a couple of maps. When we visit the kids always like to have their own map, and they love marking off the different animals we've seen. There are a couple of hands on sections at the zoo. The Envirodome is full of loads of information about animal conservation, but it also has activities like puzzles and games that kids can play with. 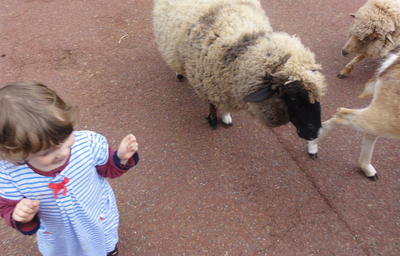 There's also the Children's Zoo where kids can pat and feed animals like sheep and deer. Unfortunately the Children's Zoo has seen better days. It's not always an essential part of the zoo visit--especially when there are so many other interesting animals spread throughout the zoo. There are a couple of food places to grab a bite to eat throughout the zoo. 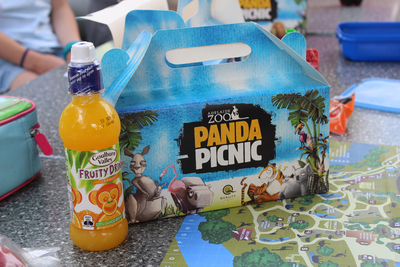 For easy kid-friendly meals you can pick up a panda picnic for $8.50. They have nuggets and chips or a sandwich with water or juice, fruit jelly, and another small snack. They're not cheap for what you get. 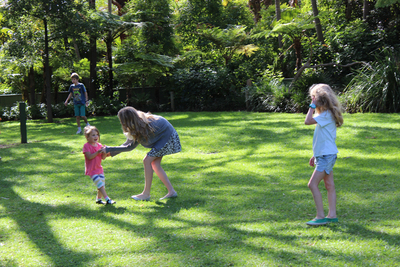 You can always bring your own food into the zoo, and there's a large grassy area which is great for picnics. It helps keep the cost of the day down if you're bringing your own food from home. Plus, it gives the kids to run around and go crazy for a bit. It would be great if there was some kind of animal themed playground for kids to enjoy like some of the interstate zoos have. Once you've finished up in the zoo you can't help but walk through the gift shop. You can actually exit without passing through, which is great if you're definitely not planning on buying anything and want to avoid tired kids begging for gifts. there are plenty of soft toys that kids will dream of (I remember I always wanted one of the giant giraffe toys), but there are also cheaper toys and souvenirs you can pick up. 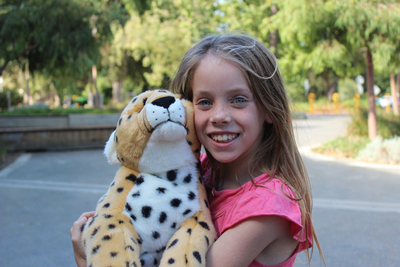 One of the best ways to enjoy the zoo is through a zoo membership. There are a couple of different options, but once you pay the once off fee you get free entry into both Adelaide and Monarto Zoo (and other zoos around Australia) for a whole year. You can easily get your money's worth with just a couple of trips. The lifetime membership is a present for young kids or newborns; it's not cheap, but they'll get free entry for themselves and a friend for their entire life. A zoo membership also means you can pop in quickly on days you're in town, just to see your kids favourite animals, without having to dedicate an entire day to the zoo just to get your money's worth. By supporting the Adelaide Zoo you're not only getting a fun family day out, but you're also helping their conservation efforts and all the good work they do.